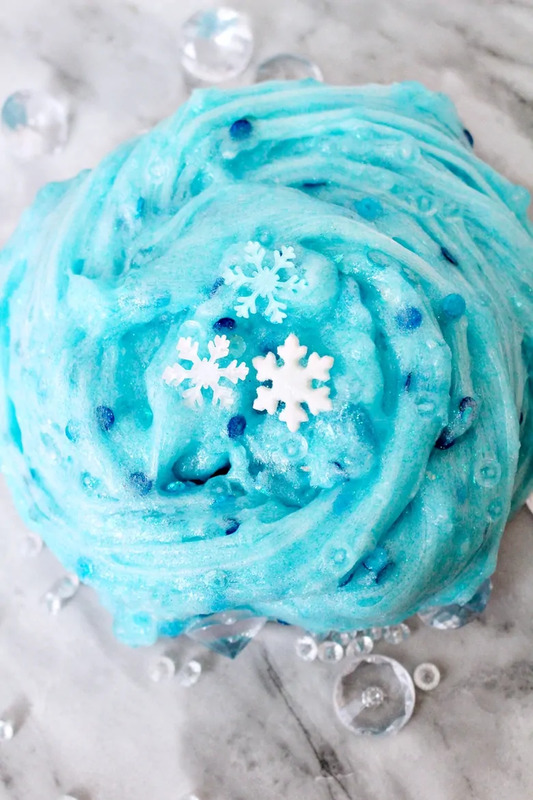 An easy Frozen slime recipe that Elsa would approve of! This glittery snowflake slime makes for a great Winter sensory play activity. While it may be a few years since Disney's Frozen came out in theaters, it is still a favorite for many children. 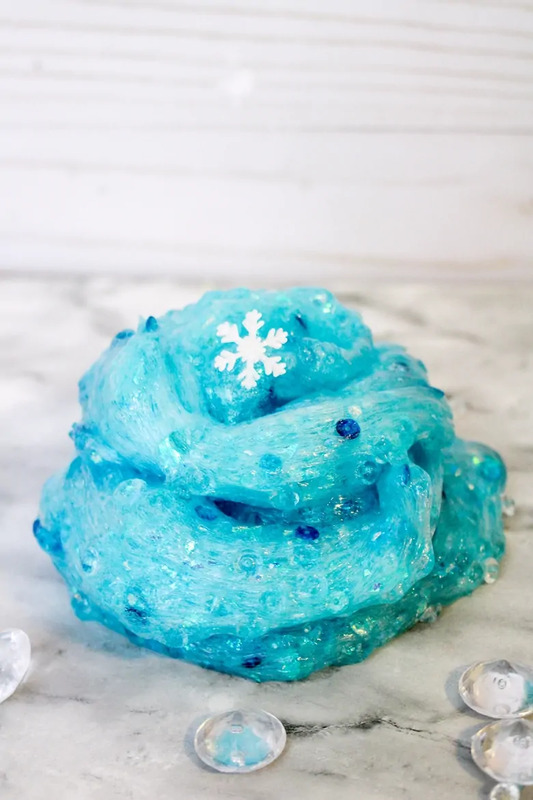 This Elsa-inspired slime will be a hit with any young Frozen fan. 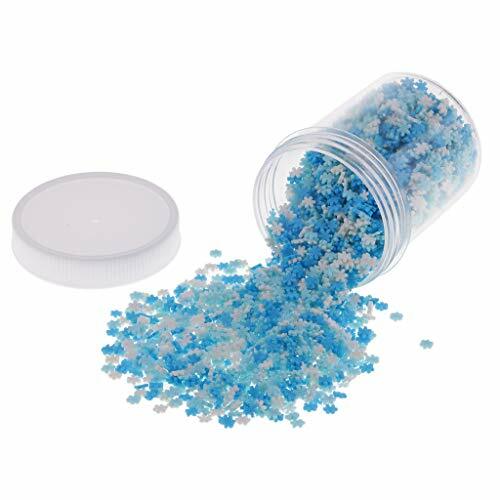 It is easy-to-make, Borax-free, and beautiful — just like Elsa! 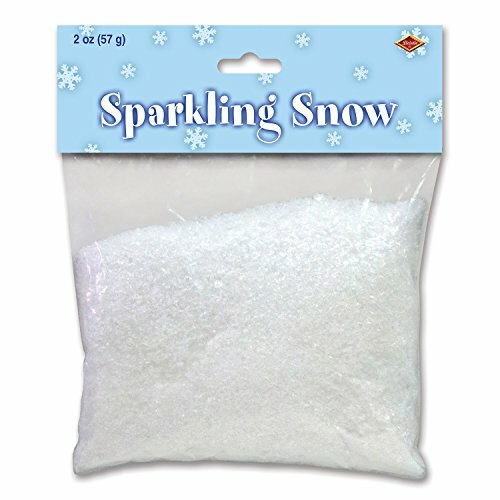 Packed with sparkles and snow, this slime also is a perfect activity for indoor Winter sensory play. Of course, if you can't find one or two of these mix-ins, feel free to leave it out. The slime will still be awesome! Once you have all of your supplies gathered, making your Elsa slime is easy. 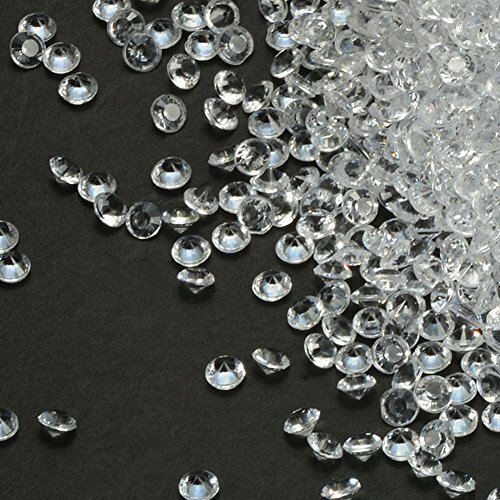 Start by combining the glue and water, mixing well until the glue and water have combined. 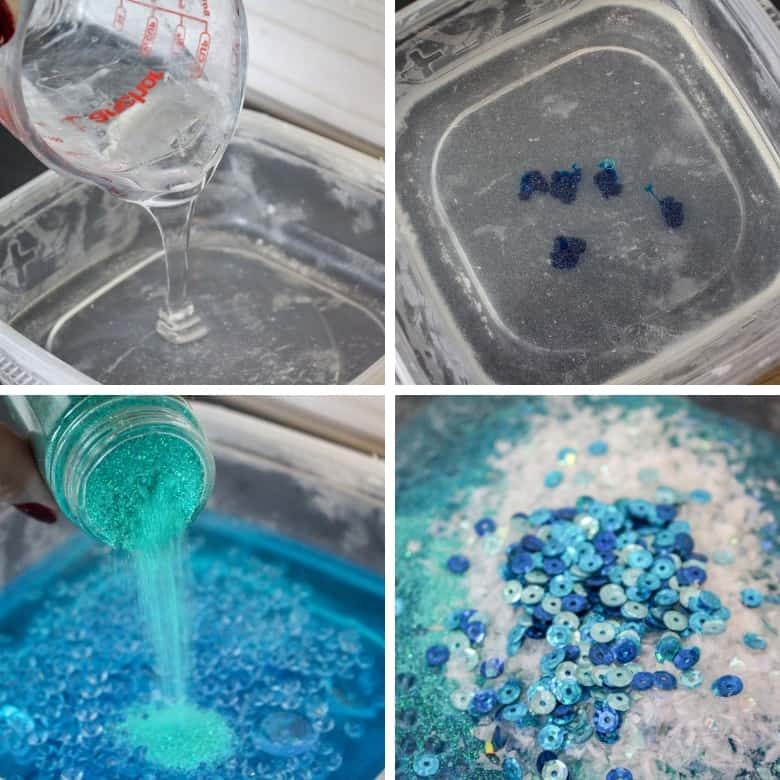 Then add the blue coloring, glitter, and the rest of your Frozen-themed mix-ins. Now is time to add in the baking soda. This is what will give thickness to your slime. After the baking soda is mixed in add the saline solution. The saline solution is what activates the slime. Continue mixing until the slime pulls away from the sides of your container. Once the slime pulls away from the dies of the container and starts to form, dig in there with your hands and start kneading the slime. The slime will be super sticky at first, but as you knead it, it will start to get less sticky. The more that you knead it, the less sticky it will become. You can print out the slime supply list + instructions using the “recipe card” below. I hope that you and the littles enjoy this fun Frozen slime! 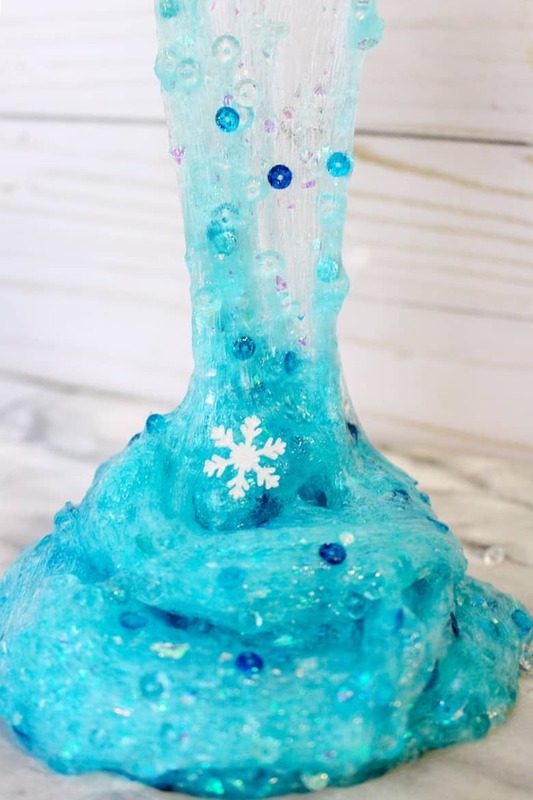 A beautiful Frozen-themed slime that Elsa would approve of! This glittery snowflake slime makes for a great Winter sensory play activity. 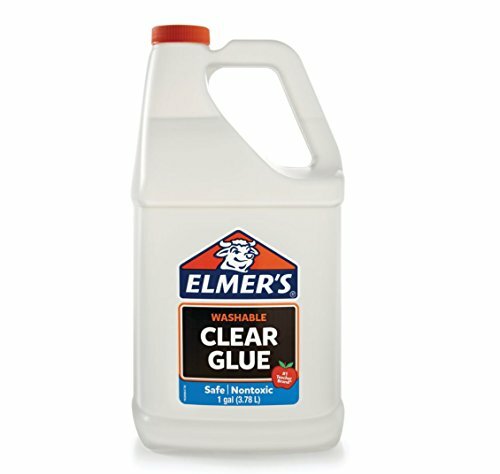 Combine glue and water in a medium size container. Mix until glue breaks up and incorporates into the water. 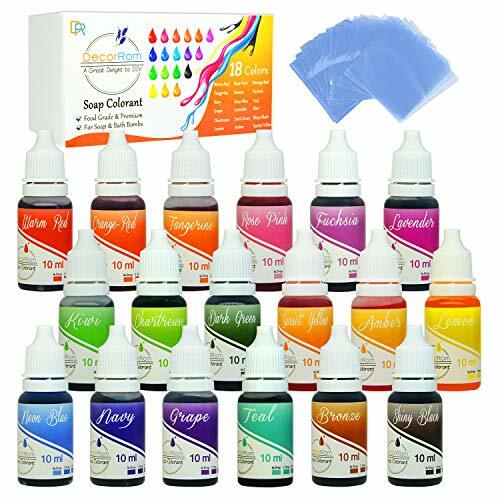 Add a few drops of blue colorant, mixing and adding more drops until you achieve your desired shade of blue. 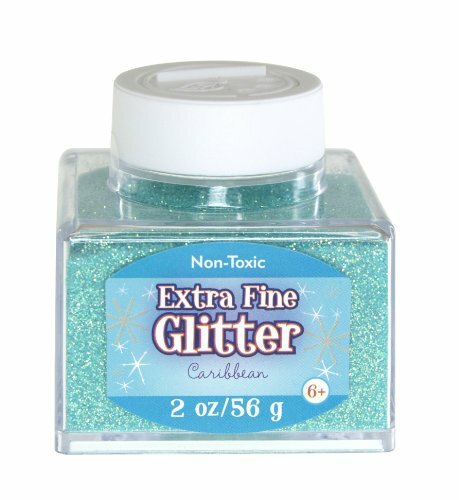 Add glitter and stir to mix well. 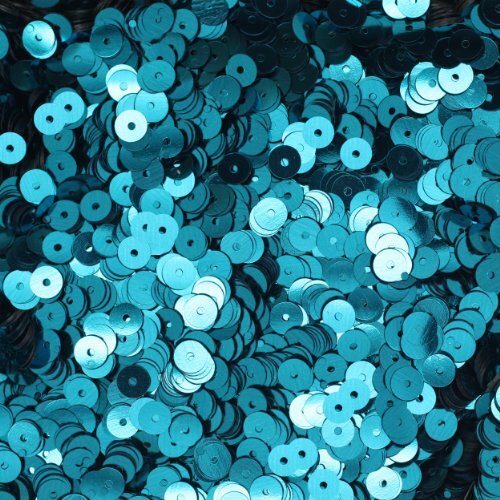 Add the remainder of your mix-ins (snow, beads, snowflakes, sequins, etc...) and stir to mix well. Add saline solution and stir well to combine. Stir until the slime begins to form and pull away from the sides of the container. Knead the slime. It will be very sticky at first but keep kneading and it will get less sticky. My nieces have fun making slime, I know they would have so much with this one. I might even make it with them. My nephews LOVE making slime, It’s one of the many activities we do when together.